Born a farmer's son from Witney on Wye, with five brothers and sisters, I soon recognised the importance of home/locally produced food and protecting the environment it came from. However, my chosen career was not in farming but as a motor engineer, eventually becoming a Royal Mail road transport manager based in Hereford City. Here I began to recognise the impact that the built environment and city infrastructure can have on people's lives. Environmental issues and sustainability became increasingly important to me and in 1994 I became a Parish and District Councillor. I saw this as a way of promoting sustainability through the influence of local government decision making. Planning, transport and environmental issues and their influence on health and wellbeing have always been and remain my drivers. As a Hereford City Councillor it was a huge privilege to represent the City as the 632 Mayor, driving forward improvements whilst strongly supporting Venn's Arch Restoration and St. Michael's Hospice charities. In 1998 I became a member of the new Herefordshire Council, since then I have held both local and strategic council roles, such as Cabinet Member for Environment for Herefordshire, and heavily involved in Regional Planning and Housing Partnership working. From 2007 until 2011 my county role included being Chairman of Overview & Scrutiny functions for Herefordshire, a wide ranging and challenging position. I continue to represent Herefordshire Council as vice-chairman of regulatory Services, member of planning committee, and the Local Access Forum which debates and safeguards public rights of way throughout the county, hopefully leading to improved leisure and fitness opportunities for residents and visitors to the county. My environmental interests were key to my selection to represent Herefordshire on the West Midlands Regional Environment Protection Committee, which essentially 'polices' the Environment Agency . 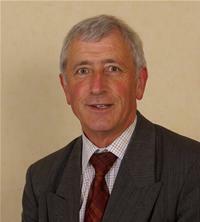 I am the current chairman of the freshly formed South Wye Development Trust, covering our area - an area occupied by 22,000 people. I accepted the privilege of becoming the chairman of the Oval Housing Regeneration Steering Group, keen to monitor the progress of the regeneration scheme that is successfully moving forward at a pace. I believe in actions as well as words and locally I set up a Pride in Parish scheme which carries out regular volunteer litter picks and cares for Newton Farm water and footways, recognising that community volunteer working provides vital aid to public services. I have been a Neighbourhood Watch Co-ordinator for many years, have helped establish the Shaw Cycleway, and worked with other volunteer groups including one that provided park bench seating. Being a resident in Newton Farm - overlooking the Belmont Haywood Country Park - I am privileged to be the current chairman of the Country Park Supporters, a group of volunteers established to help maintain and improve the Country Park to a suitable standard for all to enjoy. As a regular cyclist as well as a car driver and sometime bus passenger or pedestrian, I not only keep fit but am also able to offer a balanced opinion about transport issues particularly as regards their impact on access into and out of the city, an important factor for Newton Farm residents.